Maximize Your Online Results With RVUSA.com! Since 1995, hundreds of dealers all over America have come to rely on RVUSA.com to succeed online. We can drive more traffic to your website and help increase your sales. Our Member Management Console lets you quickly and easily list your units on your website, RVUSA.com and our network of 90 manufacturer and model-specific websites, plus other online classified and directory sites. We are your one-stop-shop for website design, hosting, online inventory management, website optimization, and more. In addition to everything included in the Platinum Dealer Partner Plan and our powerful Online Inventory Manager, the Platinum+ Partner Plan gives you Banner Ads on a State page on RVUSA.com and the Home Page of 2 Manufacturer-specific websites (ie. forestriverrvsource.com). *Website Development not included. 12-Month contract and payment by Credit Card required. Premier listings on RVUSA.com and our powerful Online Inventory Manager, the Platinum Dealer Plan gives you access to our complete set of tools designed to give your business maximum online exposure. The Dealer Partner Plan gives you access to our exclusive Online Inventory Manager tool that lets you quickly and easily list your units on your website, RVUSA.com and our network of 90 manufacturer / model specific websites. This is a great entry-level plan for small dealerships with limited inventory. *Website Development not included. Monthly credit card or Annual Check Pay ($2388). 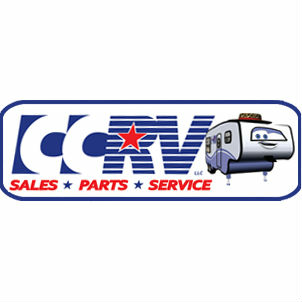 We have a commitment to helping RV Parts & Service companies grow their businesses. We offer Member Listings for these dealers, all to drive our thousands of visitors every month to their businesses. Increase your online exposure and leads - Sign up today! Thank you RVUSA for a Great Year and thanks for your outstanding customer service.